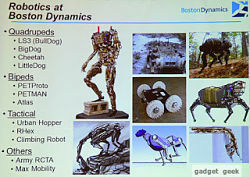 Robots, this is the region where every body is interested and use them to decrease their load of work.Now we use Robot’s every where and the technology behind it is vastly increasing and now this company ( Boston Dynamics ) have increased it further more and making Robots which resemble Animals. Now think a Robot Running at a speed of cheetah or a puppies or a Dog, Spider.Now imagine a Robotic Dog and don’t think Robotic means not a conventional one, it also reacts like a real dog. 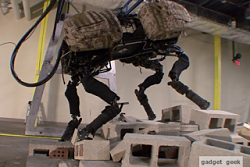 Now let’s cover this part in this article and see who are the behind with Boston Dynamics. 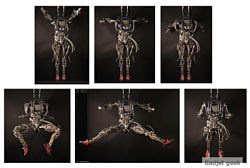 Boston Dynamics is an engineering and robotics design Company, that is best known for development of BIG DOG, Quadruped robot designed for the U.S. Military with funding from Defense Advanced research Projects Agency. 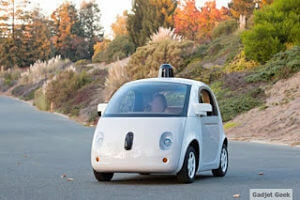 They build advance robots with remarkable behavior ,mobility,agility,dexterity and speed. They have started from no where and now this company was acquired by Google in December 13 2013. Now we will take a look at Some of the Robot’s (Animals) they made. Big dog is a Quadrupedal Robot created in 2005, it is a Rough terrain used for helping soldiers where vehicles can’t reach because it uses a 4 legged strand instead of Wheels. It will be able to Climb all terrain and can carry about 150 kg’s and can run at 4 MPH. 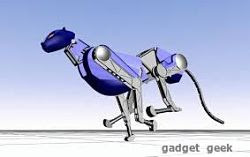 It will be in a size of Big Dog or a mule.They upgraded it’s system to LS 3.
cheetah is the fastest legged Robot in the world. It surpassed the previous record of 13.1 MPH way back in 1989 at MIT by a new Record of 29 MPH(as close as Bolt). Now this has an articulated back that flexes back and forth in each step much similar to Animals. The improved version Wild cat is tested and it’s unveiled. PET MAN ( Protection Ensemble Test Mannequin) is an anthropomorphic designed for testing chemical protection clothing.Much of this technology is derived from Big Dog. Natural Agile Movement is essential for Pet Man to simulate how a soldier stresses protective clothing under realistic conditions. This was design to the user’s test facility where it is going through various experiments. 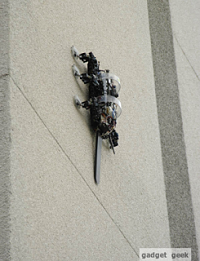 Rise is a Robot that climbs vertical walls like Spider.It uses micro claws to climb on a textured surfaces.It changes posture to conform to the curvature of the climbing surface and it’s Tail helps it balance on steep ascents.Each of this six leg’s are powered by a pair of electric motors and uses a variety of sensors including Joint position Sensors, Leg Strain sensors, Foot Contact Sensors. Apart from this above mentioned Robots they have also manufactured Sand Flea ( which can jump from Small Buildings at a Leap) and R HEX (Which is a six legged robot with High mobility ). with all these Robots they are Preparing a Animal Kingdom. 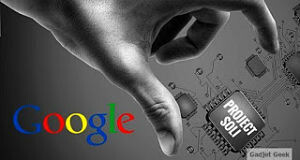 This Advancement in technology will be Help full and also Look out for further improvements.